Bruegel the Elder's vibrant, detailed paintings are instantly recognizable, and attract visitors to museums worldwide. But Bruegel fans have to travel, because the pictures can’t: his centuries-old oil paintings on wooden panels are fragile. Now, however, at the initiative of the Royal Museums of Fine Arts in Brussels, and together with eight major museums around the world, we’ve blended art, virtual reality and our newest technologies to create the Bruegel / Unseen Masterpieces project. Since we started the Google Cultural Institute five years ago, Bruegel has been a star amongst the millions of artifacts available. The lively scenes of everything from rural life to the book of revelation contain many details invisible to the naked eye, which is why you see crowds leaning in towards his paintings in museums. We’re thrilled to be part of a international, collaborative effort with some of the world’s top museums, showing these artworks together, in unprecedented detail, for the first time. Many of these works haven’t travelled for over 100 years. This collaboration was an opportunity to work with museums from Budapest to New York including galleries in Berlin, London and Copenhagen. Working with them to create ultra-high resolution gigapixel images of their Bruegel paintings has effectively created a new, online gallery dedicated to the Flemish master. On top of that, when Bruegel died in 1569, he left countless playful, almost-hidden scenes in his works. Every composition depicts a whole host of characters - some familiar, others new - and narrative vignettes that provide a fascinating footnote to history. Think of them as masterpieces within a masterpiece. From today, you can explore them in just a few clicks, with a personal art historian guide by your side. Expert curators from the participating museums have created 19 online exhibitions exploring Bruegel's life and work, which are available to all on the Google Cultural Institute website. It's a new way to experience them -- through their computer or smartphone, users are transported to a Flemish wedding feast, a skating party, or a harvest festival five centuries ago. Users can also be plunged into a 360-degree virtual reality universe. Google Cardboard is an affordable virtual reality viewer made of cardboard. 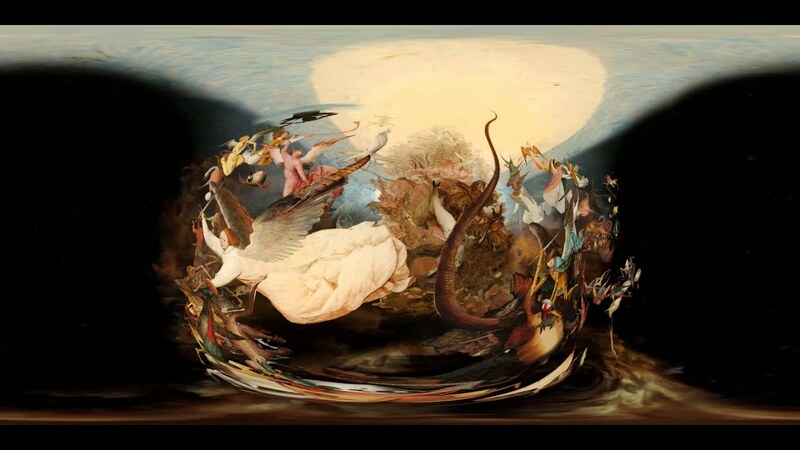 For the project, we developed a virtual reality experience, where the Bruegel's Fall of the Rebel Angels comes to life and where viewers can step into the world of its creatures. It's also available on the YouTube channel and mobile application of the Royal Museums of Fine Arts of Belgium. Together with the Royal Museums of Fine Arts, this project is also an experiment to explore how modern technology can supercharge the museum experience. 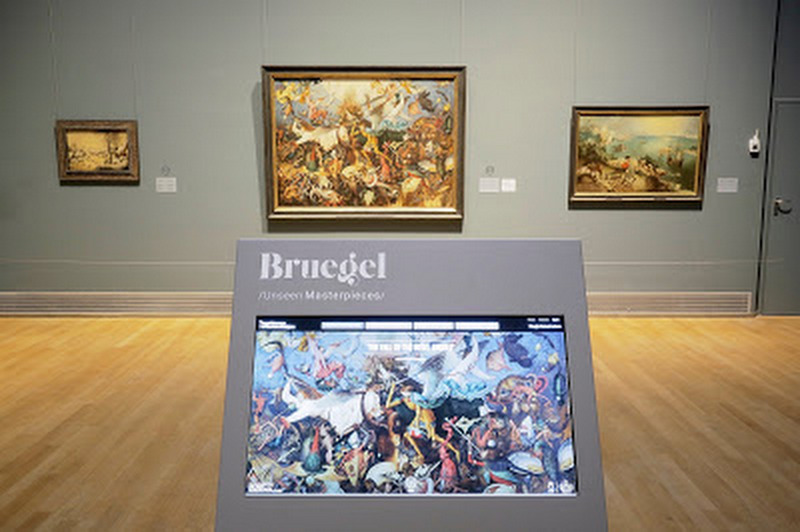 The virtual exhibitions can be viewed through special terminals, and the museum is also hosting the immersive Bruegel Box. With state of the art projectors, gigapixel renderings of three iconic Bruegel images, and support from energy company Engie, one room of the museum has been transformed. Spectators walk in to find themselves literally in the picture, shoulder-to-shoulder with villagers, preachers and mystical creatures. The cutting-edge technology we've used in the Bruegel / Unseen Masterpieces / project means our partner museums can share the Flemish master's paintings worldwide. While there's no substitute for seeing the original, with works as old and fragile as these, moving them is not an option. Digital technology offers new solutions to tackle this. It preserves this irreplaceable heritage, provides a new way of seeing the works and give everyone access to culture. The works in the Bruegel Box are physically on display in Brussels, Berlin and Budapest: we're proud to be a part of showing them in one place, in a new way. We’re absolutely delighted that they’re also online, available to view everywhere, at any time -- and we hope you'll enjoy them too. You can explore all this and more on your mobile and can download the Google Art app for your daily dose of culture - on iOS and Android.